House Clearance Service In All Areas Almondbury Ashbrow Dalton Greenhead Newsome. I’m clearing my flat in Huddersfield and so far have separated out about 12 large Sainsbury’s ‘bag-for-life’ carriers and about 15 pieces of furniture. There are books, pictures, Christmas decorations, bric-a-brac. I may get another 5-10 of these bags by the end of the weekend. Would you do a service to collect all these bags of items to take away and process for donation or recycle? 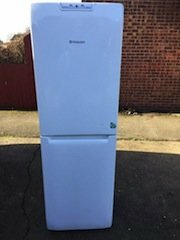 What is the charge for the house clearance please? When is the soonest you would be able to do this? Many thanks. 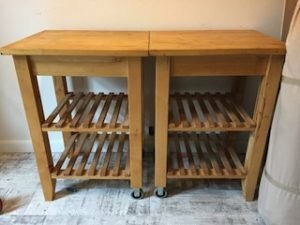 A pair of solid pine kitchen trolleys, each with two shelves and on castors. 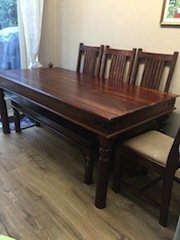 A solid wood rectangular dining table, together with four matching high back dining chairs and a large bench. 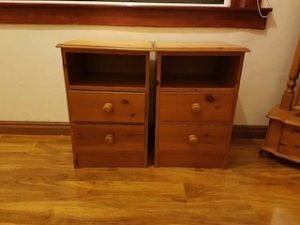 A pair of solid pine bedside units, each having one shelf above two drawers. 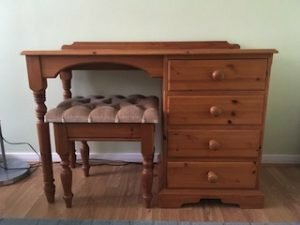 A solid pine four drawer vanity dresser, together with a matching vanity stool, upholstered to the seat in salmon pink velour with button details. A purple and grey Dyson DC04 upright vacuum cleaner. 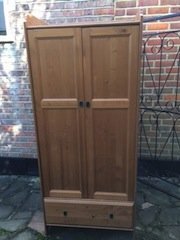 A tall standing mango oak double wardrobe, having a large drawer to the bottom. 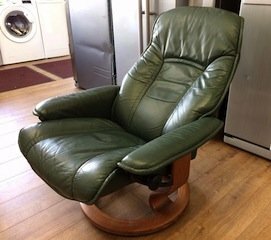 An Ekorness streusels reclining armchair on a solid wood base, upholstered in green authentic leather. 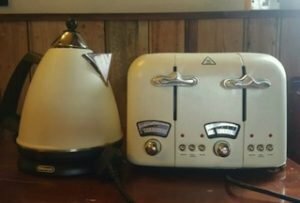 A cream and stainless steel Delonghi kettle, together with the matching four slice toaster. 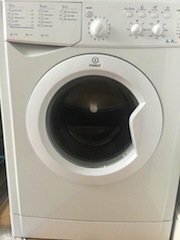 A white Indesit IWC6165 under counter washing machine. 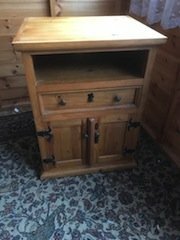 A small solid pine bedside unit, having a shelf above one drawer and a double cupboard. 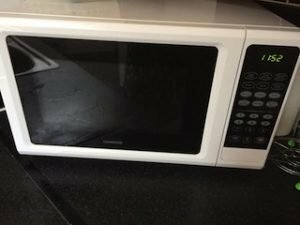 A white Kenwood 20L microwave oven. 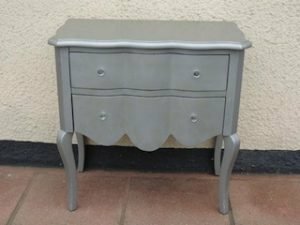 A hand painted metallic grey two drawer unit, each drawer having two crystal knobs. 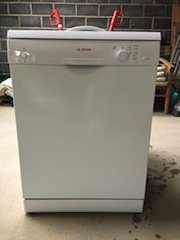 A white Bosch freestanding dishwasher. 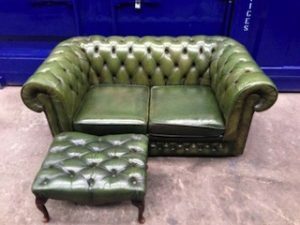 A vintage Chesterfield two seater sofa and matching footstool, upholstered in green authentic leather with button detailing.